Select Windows > Toolbars > Game. Displays the clips in the folder. Here, you must select the Display of your character. This is the one that will be used to render out all of the information attached to that Display node. 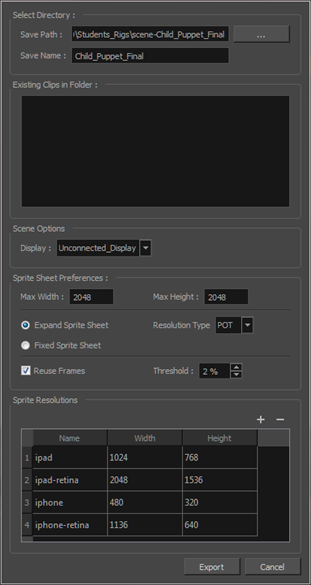 If the Unconnected_Display option is selected, all of the visual information in your scene will be rendered out.